Spring summer 2015 season is the time for a new breath and for a change. Start from you hairstyle. The bob haircuts can be very versatile, from extremely short bobs to lob hairstyles, from very straight and sleek to curly styles. Celebrities are always the first to adopt the new looks coming into fashion. And some are smart enough to adopt one style that suits most of all, and enjoy all the benefits of it. Such style is the bob haircut, quite short and styled curly it is very romantic. The celebrities we are used to see with gorgeous glossy long hair, have not always been long-haired. 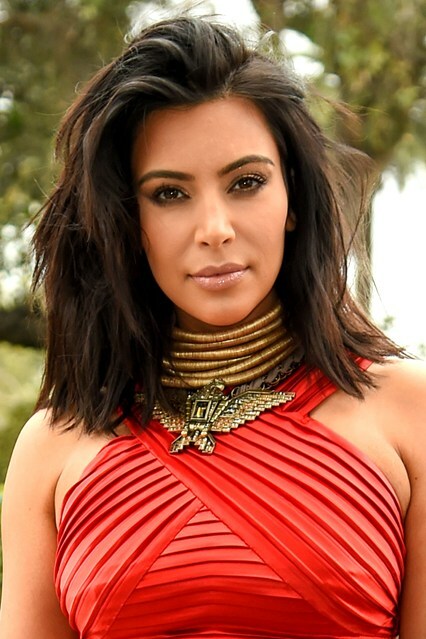 Look at Kim, her long bob hairstyles is very impressive on her thick brunette hair. You can wear you bob totally straight and make a side parting to shift attention to hair and not hte lines of your face. The blonde hair color is very suitable for such style. Another extremely straight bob hairstyle is represented by Jourdan in the hairstyle picture above. Here we see a bit angled bob and a side parting, the hair color with slight highlights is very nice indeed. If you are on your way to grow out your tresses, but you have just started, you must be very nervous about semi short disobedient streaks you have. The neat short bob will turn your messy look into a polished one. 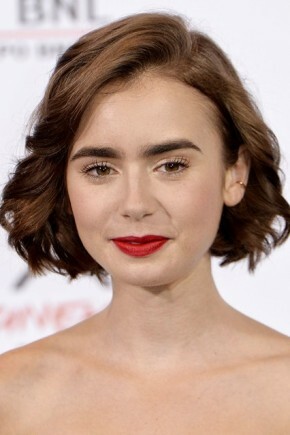 There is some unique glamorous around bob hairstyles 2015 that is inspired by several vintage hairstyle introduced by the most beloved celebrities. Katy's vintage curly bob is astounding in couple with deep brunette hair color, her fare skin and bright red lips. While the tendencies of hairstyles suggest growing out hair, the celebrities go on choosing bob hairstyles and creating the most unforgettable looks ever. The wavy bobs are very cute. For some beauties bob hairstyles may become signature styles that will fit them the most and will be remembered by the audience. 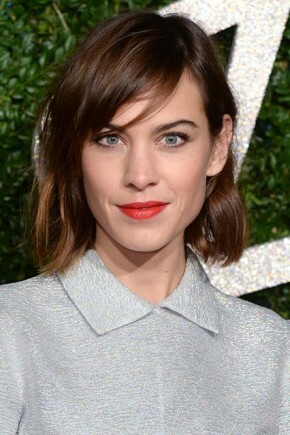 We have seen Keira with various styles, but confess that this cute wavy bob is awesome. One of the tendencies in modern bob haircuts is the shaggy style. Layered bob with shaggy ends, styled a bit wavy, looking a bit messy, yet being so trendy. Look at Jessica!